The summer before her junior year at the University of Idaho, Erica Albertson worked at a small boutique in San Diego. It was there, working in such a welcoming and beau­tiful environment, that she realized how much the design of a space could affect the people interacting in it. This sparked a passion in her that led her to study interior design in the College of Art and Architecture. It is the human aspect of her major that the Boise native says keeps her interested in every project she does. 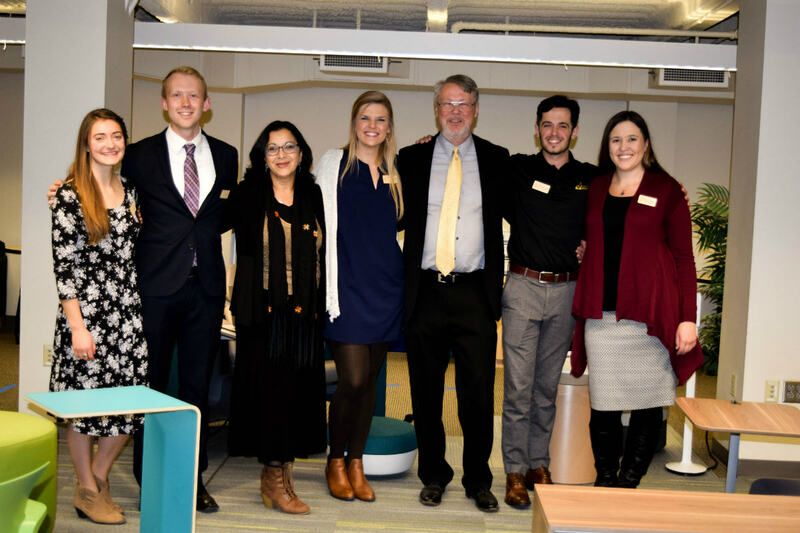 The first project that gave her real-life experience interacting with clients was one she did with two others, fellow interior design major Courtney Tanner and architecture student Alyssa Anderson. The proj­ect called for designing a student space for business majors in the Alb­ertson Building, home to the College of Business and Economics. The trio took research gathered by the business students and designed a space for them that was tailored to their needs. She also learned about collaboration. “In the business world you think very differently than in the design world, so we almost had to play interpreter. That was really new,” she said. 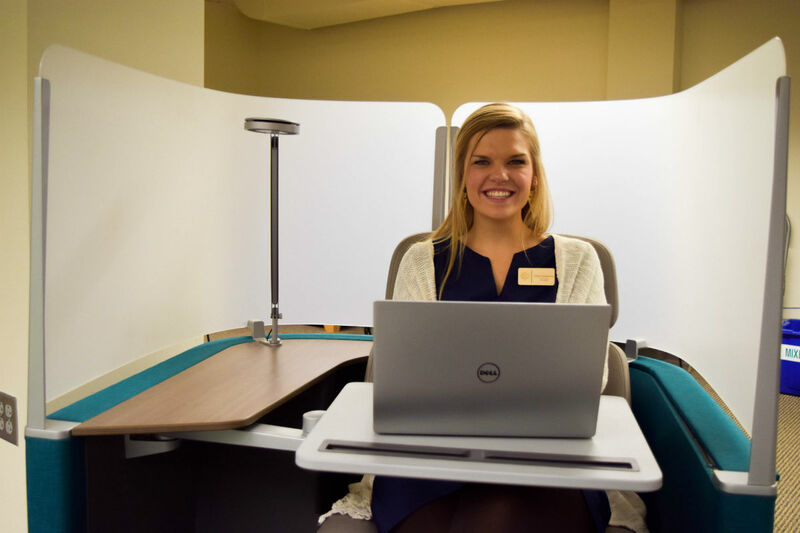 Erica Albertson testing out one of the furniture modules for the College of Business and Economics student lounge. Albertson received an OUR Travel Grant. Learn more. Another project that has given Albertson experience designing with people in mind is her senior project. The idea is a to create a “mak­er’s space” in South Chicago — an art studio for adults to use in the day and for kids to go to after school to design, paint, sculpt or even 3-D print. Albertson said the area is ranked one of the most troubled neighborhoods for youth in America. Albertson said this project has shown her that understanding how people interact with their surroundings can affect a community. Albertson, who will graduate this spring after five years at UI, said she is thankful to feel so prepared to head out into the world and start her career. She already has a job offer from a firm in Boise. She is eager to include the human aspect of design in her future projects. The design team for the student lounge, together with two of their professors.